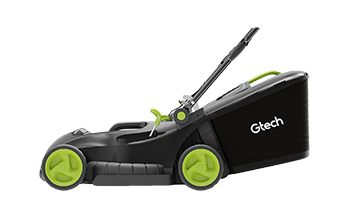 For spring 2019, GTech have launched a new cordless electric lawn mower. Their original mower was a big hit with thousands of customers across the UK. So will their new and upgraded cordless mower beat its predecessor? Let’s find out in this independent, un-biased review. Cordless electric home and garden power tools are going from strength to strength at the moment and it’s easy to see why. They’re quiet, portable, low maintenance easy to use. And with this latest (2.0) model, the performance has been upgraded too. Long gone are the days where everyone had a petrol powered mower. Modern homeowners want something that’s good for the environment and cost-effective. 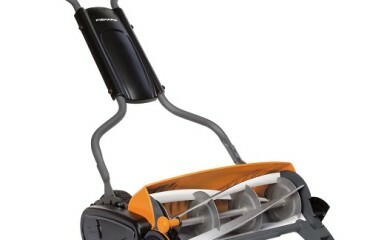 And with this latest (2.0) cordless lawnmower from GTech, the performance has been upgraded too. Let’s take a deeper look. More Power – The original mower had a 36V battery, whereas this model has a 48V one. New Blade – A sharper, more robust and efficient blade means less bogging down in thick grass and less power used, which is one reason why the run time is the same but it has more power. Adjustable Power Delivery – Another interesting addition is the use of adjustable power, which is automatic. 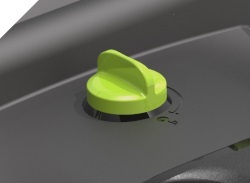 The mower detects when to use more and less power based on the grass and resistance on the blade. Lighter – This new model weighs in at just 13.5kg vs the original 17kg. That’s a 20% reduction in weight, which is a big difference and particular useful for elderly people or those who find larger mowers hard to handle. Larger Grass Box – A 50 litre grass collection box comes as standard whereas the previous model had only a 40 litre one. A 25% increase in size means you’ll be emptying it fewer times per cut. Smaller Cutting Width – But only by 1cm. The new cutting width is 42cm (420mm). The original mower was 43cm (430mm). Not a big change to be honest, so it shouldn’t have much impact. 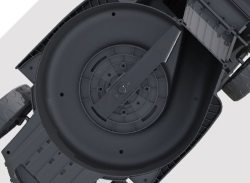 More Compact – To save more space, the handle now folds differently, meaning a shorter length and more easy to store away in the shed or under the stairs. Safety Switch – The old model had an activation key which had to be inserted to use it. The key was too easy to lose and fiddly. This new 2.0 model has a switch to make life a lot easier. Those are the key differences between the GTech cordless mower and the GTech cordless 2.0 lawnmower. Let’s take a look at some of the key features and highlights that you get with this upgraded machine. They’re the highlights, so next let’s take a look at some of the key new features in detail so you can understand if it’s what you’re looking for. 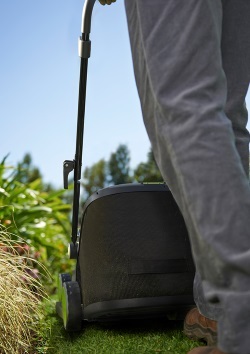 With just a quick 1 hour charge, you get up to 40 minutes of use with this mower. That’s pretty decent and enough time for most people to cut their lawn for a medium sized garden. If it’s not, you can pop it back on charge and start again after a cup of tea and slice of cake! Cordless electric mowers had a reputation for getting bogged down in thicker grass due to a lack of power. Fit a new, carbon steel blade that’s designed to be more efficient and effective. Make the mower more intelligent so it delivers more power when needed and less when it doesn’t. We’re not quite there yet with the technology to get that much power and have it last but we’re not far away. If you’re looking to cut very thick, long, dense grass this isn’t the mower for you. A petrol or corded electric one would work better. 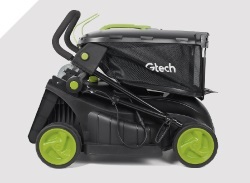 The GTech mower is aimed at people with small to medium sized gardens. They’re not professional gardeners. They’ve also modified some parts to make it lighter. The result? a saving of 3.5kg, which feels like a lot when you use it. This makes it perfect for elderly or weaker people and even suitable for teenagers to use so they have no excuse now! 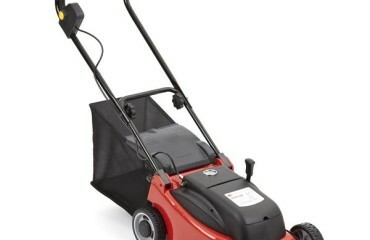 Let’s take a look in a little more detail at the advantages and disadvantages of this mower. 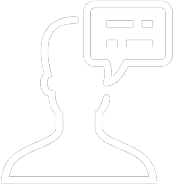 Seeing as this is a brand new product, there are not a huge number of reviews available for the product yet. But from what we’ve heard so far, things are looking good for this new, upgraded mower. People love how lightweight it is which makes it easy to move around. It’s super easy to set-up and folds down into a very compact size for easy storage in a shed or even under their stairs. A lot of people were sceptical of using a cordless electric mower, but are happily surprised by how well it cuts and that it’s powerful enough for their lawns. Good question…For the most part, all of the changes are positive. 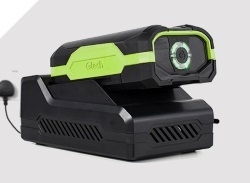 GTech have just upgraded an existing product that was very good to start with. The only question in my mind is about the max RPM of the blade. The old model had a maximum of 3,700RPM whereas the new model is 2,800RPM. That means that blade spins slower at max speed. However, the new blade is redesigned and apparently more efficient and effective. Therefore it probably doesn’t need to spin as fast. It also saves on power. That being said, the many positives definitely outweigh the negatives. If you have a small to medium sized garden which is not too overgrown, this could well be a perfect solution for you. Those who want a lightweight, easy to store mower with very little maintenance will be more than satisfied with the cut and performance. It’s NOT suitable for those with very uneven, debris filled areas of grass which are rough, long and thick. 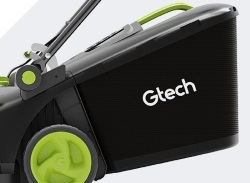 As of the time of writing, you can only purchase this GTech 2.0 lawn mower from GTech. Often they make their products available at other stores, like Argos and on Amazon but this has not happened yet because it’s so new. 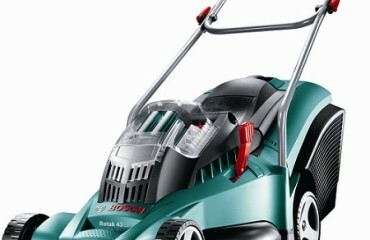 Click here to view the latest price and latest details about this GTech 2.0 Lawnmower. A very fast charging, lightweight and easy to use machine that does a great job. Easy to store, move around and set-up. It's such a pleasure to use.